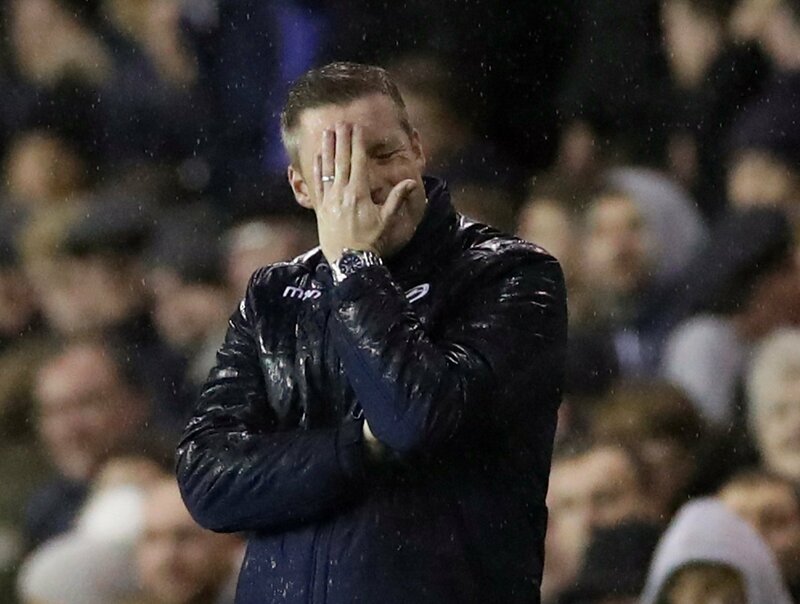 Neil Harris has laid into the structure of the transfer windows after he suffered frustration on deadline day in adding to his Millwall side. In an interview with the South London Press, the Lions boss lamented the design of the registration windows, having tried and failed to bring in a striker last month. At one stage, according to the SLP, Harris thought he had two moves close to completion, but neither materialised before the 11pm deadline on January 31. Middlesbrough’s Rudy Gestede and QPR’s Matt Smith were both on a list of potential targets, the publication reported, but neither moved to The Den. It left the Lions light in attack with Tom Elliott out recovering from a dislocated shoulder, and Tom Bradshaw rehabilitation a knee ligament problem. Leaving just Lee Gregory and veteran captain Steve Morison as the only fit out-and-out strikers at the club at present. And after a failure to get a deal over the line, Harris issued his scathing remarks on the make-up of the transfer windows. “I’m not a fan of the transfer window – it’s not designed for football people,” said Harris. “It is designed for business and for the media to get excited. “It was a disaster; it was still open after the season started [in August]. And in January it is nearly all left until the last day. “Having the window open for the whole of January unsettles a lot of people. It could be open for seven days, or five days. Harris added: “If the window was open from January 1-8 and you get an injury on January 9, it’s no different to a player getting injured now on February 1. “The first window should shut before the season starts and then everyone knows where they are at. It seems as if Harris is speaking out of frustration at the lack of movement in the final days of the transfer window. But he has a point – if the teams further up the ladder are not spending or getting players in, then the ones below are not able to do their business either. It is a domino effect and problems at the top affect those at the bottom as they can’t get players in to allow some out. There will always be this problem during the transfer window, but January is a notoriously bad month to try and strengthen given the inflated prices and snap judgement on players.